Perfect for wearing with LARP or other re-enactment gear, the Havall Belt features an eye-catching buckle that matches the detailed tip of the strap. 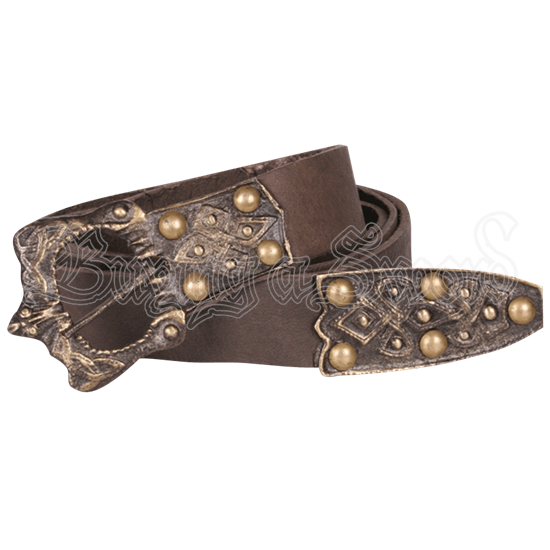 The ornate leather belt is sturdy enough to hold up several weapon sheaths or frogs while leaving enough strap length to allow the tip to hang down in authentic historical style. 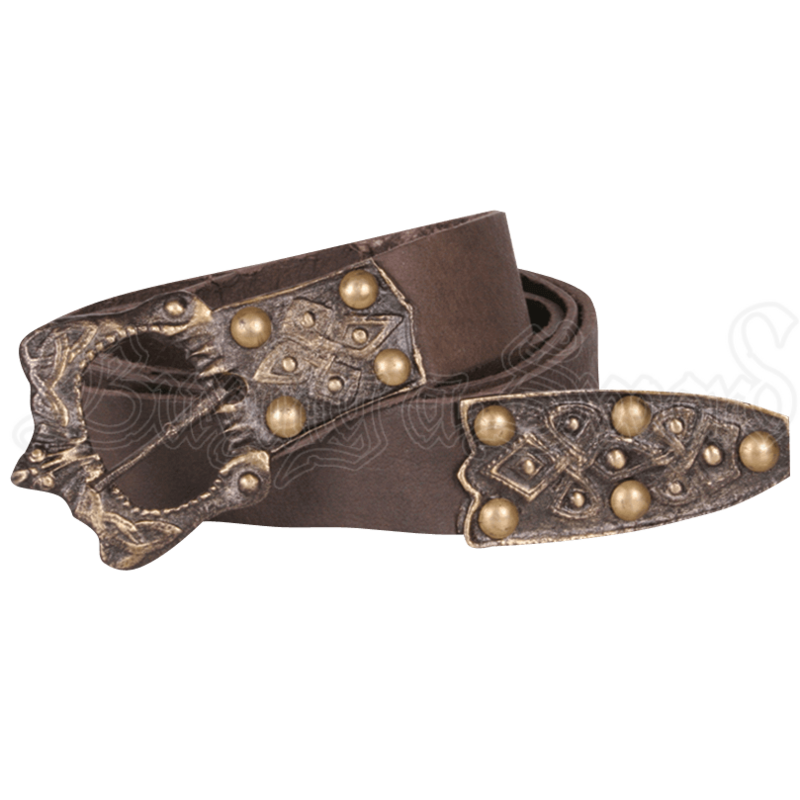 Knotwork and stud details on the gorgeous period belt create a distinctive motif that suits Viking warriors and other medieval characters. Cinch the waist of your tunic or tabard with this excellent medieval accessory to complete your look. The buckle belt is available in black or brown color options.